I did something a bit different with the oil cooler. Since we typically take the oil cooler air from behind cylinder #3 and it always runs the warmest CHT, I am pulling the air from the front baffle plenum chamber. 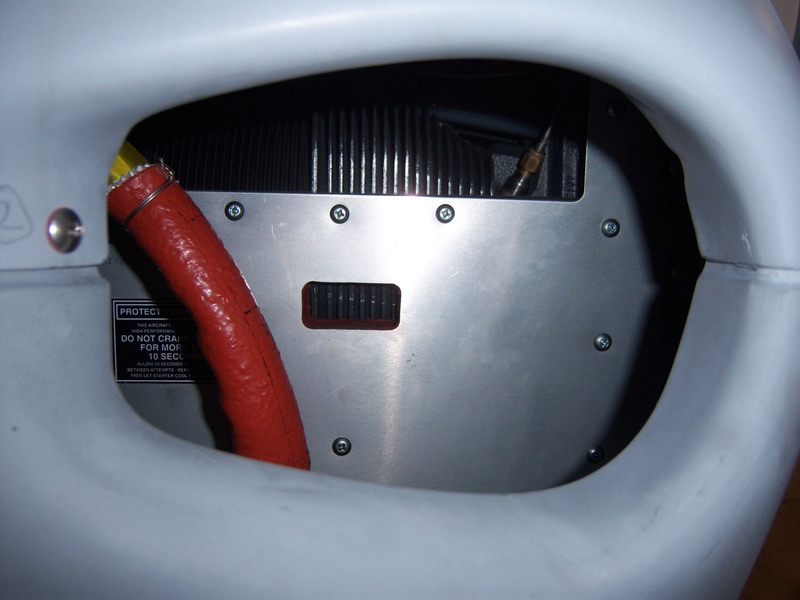 The oil cooler is located a few inches above the lower cowl and I’ve located some louvers beneath the cooler on the cowl. A benefit of this modification is that my cylinder temperatures are within 25°F of each other. My average oil temperature is 190°F. I plan to fabricate a skirt out of rubber baffling material to seal the gap between the oil cooler and the cowling louvers this summer and see if this lowers the temperature a bit more. The thing I would have done differently would have been to make the inlet at the baffle face more trumpet shaped. I custom made a 4:1 straight exhaust since I don’t have a nose gear and to save weight, eliminated the nose gear mounting brackets from the front of the cage. There isn’t much cooling air that gets to the lower fins on the cylinders. 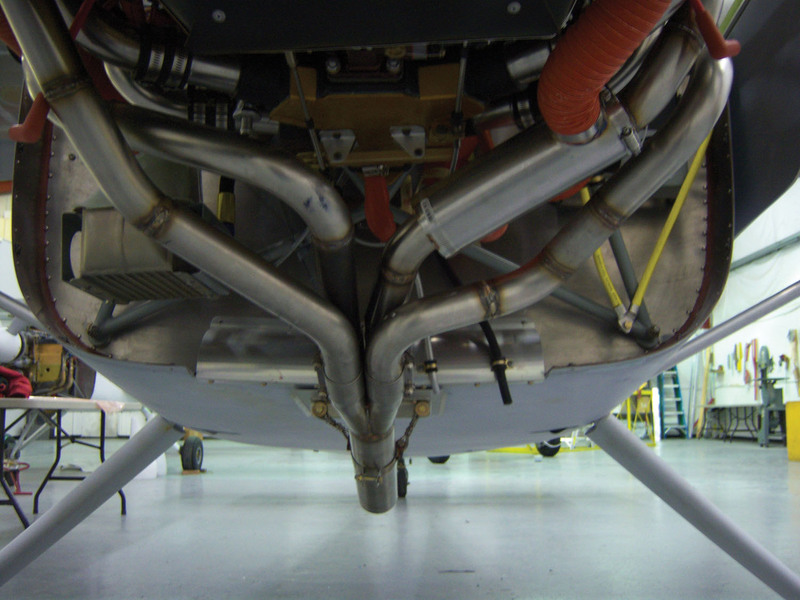 Cut 7/8” tall x 1.75” cooling slots in the forward engine baffles to realize a 25-30° reduction in CHT. 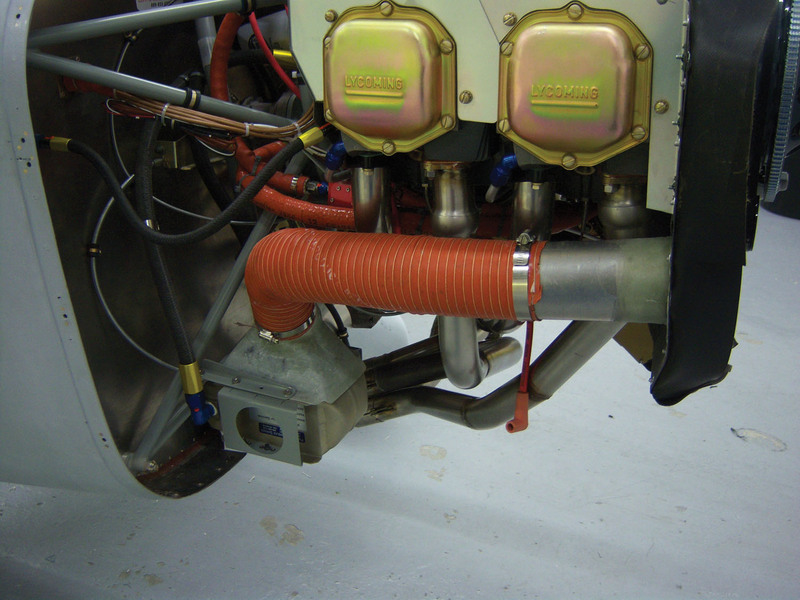 This isn’t necessary on the IO-390 engines, but very beneficial on the 180 hp parallel-valve IO-360 models. Any GlaStar or Sportsman with a parallel-valve 180 hp Lycoming can benefit from these. They aren’t incorporated into Glasair’s baffle kits, so they aren’t installed on TWTT Sportsman, but I generally tell customers so they can modify their baffles later on. 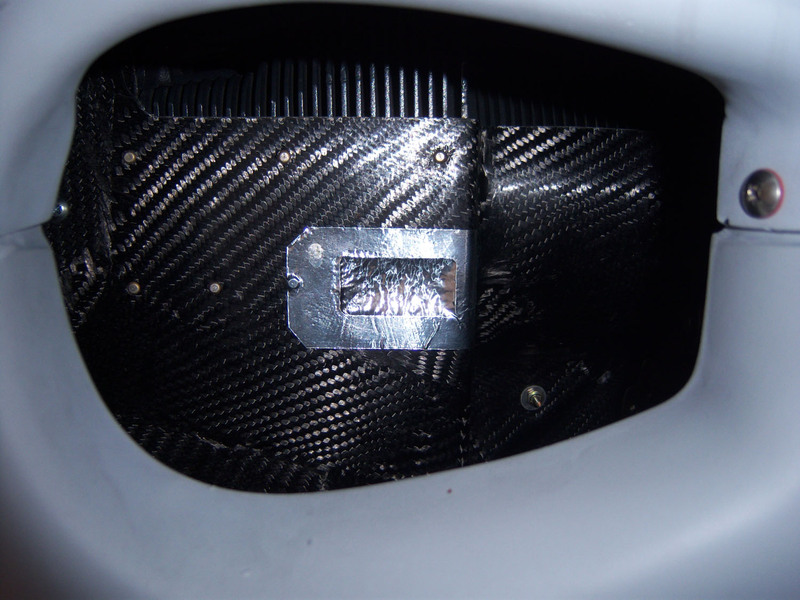 Locate the slot just below the cylinder midline as shown where the fins are the deepest at the base of the head. Locate the slot just below the mid-line of cylinder 2. Sandwich foam between the aluminum baffles and seal in place with hi-temp silicone.